The kids of the Mississippi Gulf Coast are innovative and robotic leaders for our future. That’s best represented in the work Team Fusion of Gulfport has done. Their talents seem to surpass our expectations of the classic science fair as they compete regionally and nationally this year. With a focus on the environment and the future, the young leaders aspire to leave the world better than they found it. Their robotics programs can be seen winning many awards and helping future innovation to become a reality. Team Fusion is a community robotics team that participates in the FIRST program and is run out of Gulfport High School in Gulfport, Mississippi. 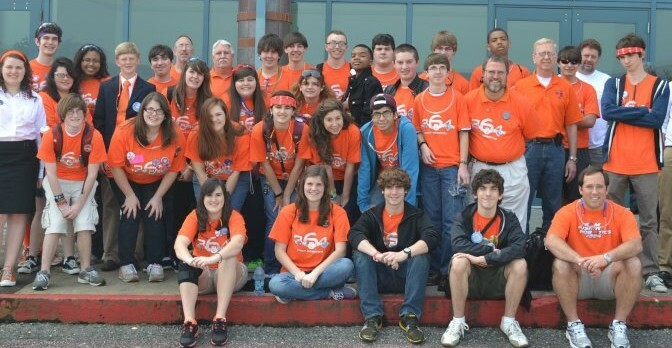 Founded in 1999 by David Fava, Team Fusion has grown to have over forty members from four different high schools. While also being successful in competition, Fusion is also successful with building connections in the community through community service projects in addition to spreading FIRST ideas such as “coopertition” and “gracious professionalism.” This program is great for helping students learn vocational skills that the robotics program can offer. Winning dozens of awards, The dream of FIRST Team Fusion is for every student to know the joy and empowerment of being involved with a FIRST Robotics team. Their mission is to inspire the next generation of problem-solvers and to instill in today’s youth the desire and ability to solve the challenges facing our world for the betterment of mankind. Support from Team Fusion members’ parents is vital to ensure that they are encouraged to succeed in all that they do. One aspect is to be a part of the parent booster club, which is headed by Rusty Ramage. These programs help students learn, grow and succeed in today’s modern world.